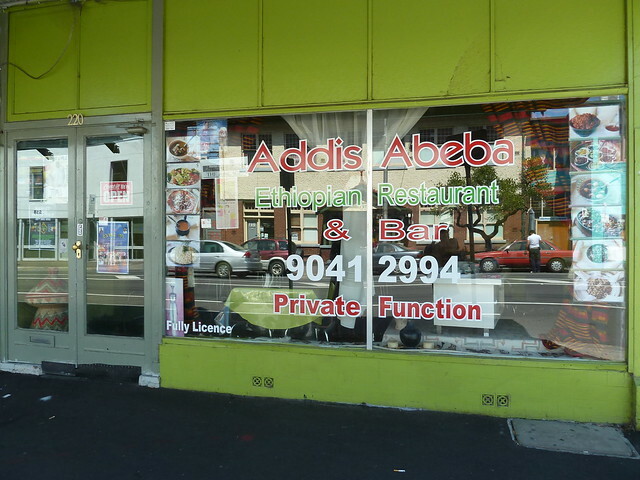 With the exception of the fabulous, boundary-bending African Taste, the Ethiopian restaurants of Footscray tend to toe the line of their traditional cuisine. The differences and variations are still there, but rather than the brash contrast of primary colours, the differences you note are subtle, like the gradations of red in the sky of a shepherd's-delight summer night. 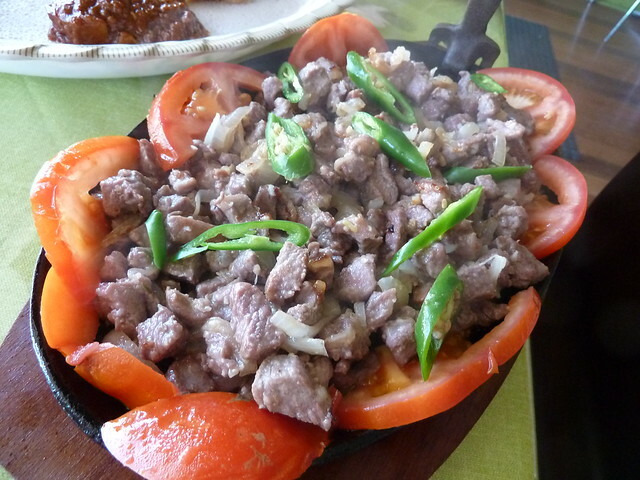 I like many for different reasons but a firm favourite is Addis Abeba. It's owned and run by Bitsat and Tesfaye, an Ethiopian celebrity couple of sorts - she's a famous traditional singer and he is an actor, writer and director. 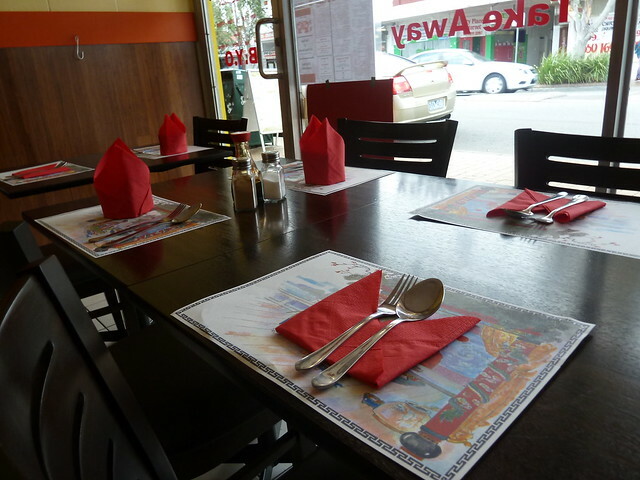 The interior of the restaurant is homely and warm, the dusky scent of frankincense hanging thick in the air. I can never go past the veg combo. 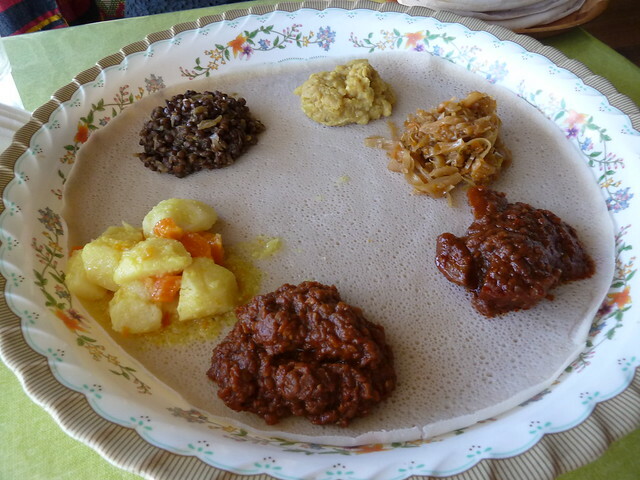 This is served the traditional way, heaped directly onto the injera on a colourful platter. From 12 o'clock, soft yellow lentils; meltingly soft cabbage; Bitsat's own creation, potato with berbere; rich red lentils with berbere spice (my favourite); potato and carrot, yellow with turmeric; and nutty, toothsome brown lentils. 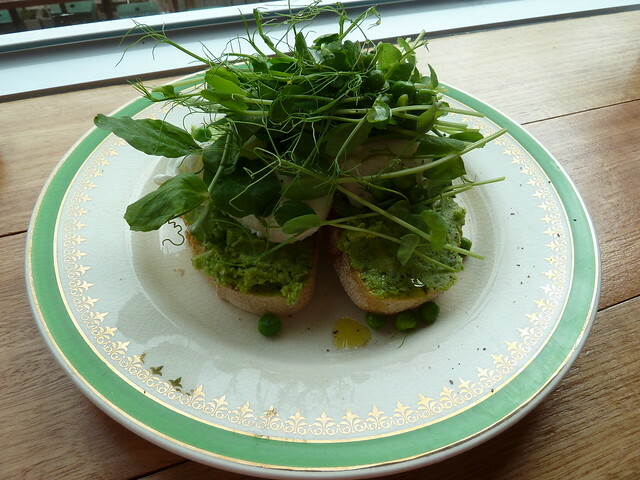 If you have room, spring for the salad which is really delicious with a lemony dressing. Special tibs are so good - tiny pieces of very tender lamb, cooked with onion in butter and scattered with green chillis for crunch and punch. The doro wat is amazing too. This celebration dish of chicken and eggs cooked in deep red berbere spice is only available here on weekends and Addis Abeba's is my favourite version anywhere in Footscray. Bitsat explains the onions must be stirred continously for hours or they catch and create a burnt flavour. This is the only version I've tried that doesn't have just a hint of slightly bitter charred onion. 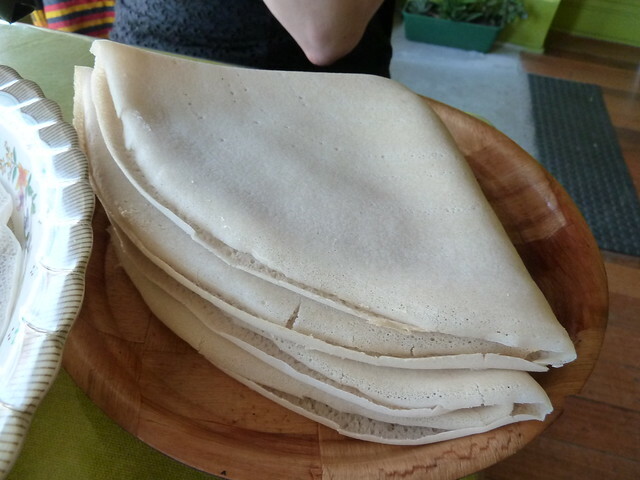 Plenty of injera for pinching up each greedy mouthful. I also love the injera on the bottom of the platter which has soaked up all the juices. Addis Abeba very kindly hosted us for the photo shoot for this article. Bitsat is gorgeous - the journalist told me he didn't like African food but with cheeky persistence she wouldn't let him leave until he ate at least one bite, explaining that in Ethiopian culture if you don't eat someone's food, it's a grave insult. Trust me - you can't stop at one bite, and the only insult will be the way you bump both sides of the doorway as you stagger out, newly rotund but oh so delightfully stuffed. Check Addis Abeba out in Epicure. 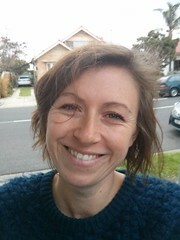 Thanks for the lovely company, Lauren of Corridor Kitchen! My husband migrated here in 2006. 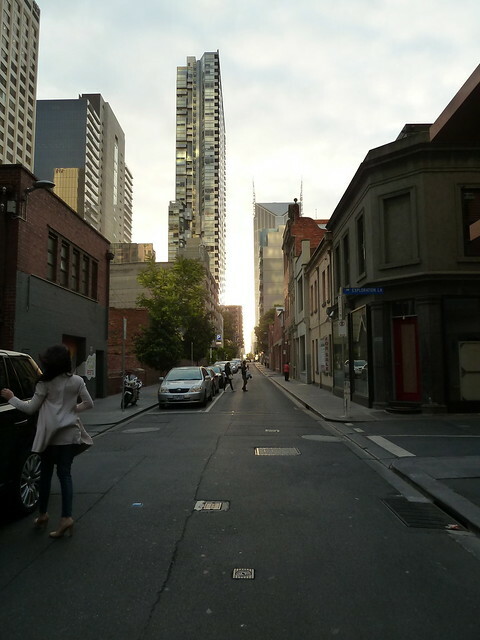 He brought a fresh eye to Melbourne - looking for something to do, he would exclaim, "Let's go get an Italian ice [gelati] and walk along the Yarra!" Um, people who live here don't do that - much to our detriment in fact, as it's indeed a lovely thing to do. 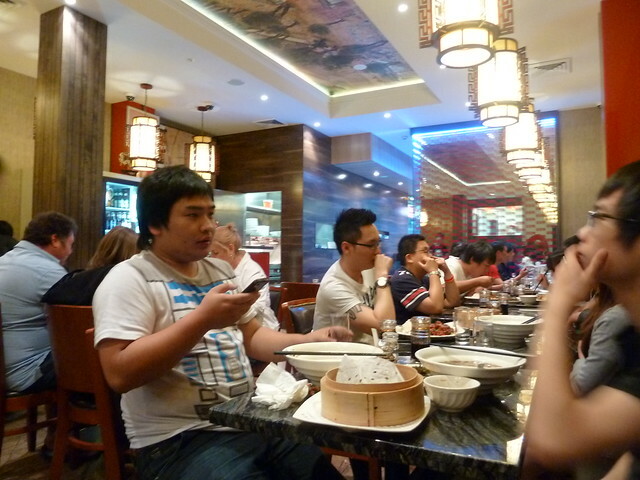 For dinner, he loved to go to "Chinatown", usually to eat Singapore noodles with gusto, much to my chagrin. I love going into town now. I still get a buzz now going in on the train, seeing the Heavenly Queen gazing benevolently over the Maribyrnong, then screeching round the bend from Spencer Street, high up all Bladerunner-like. 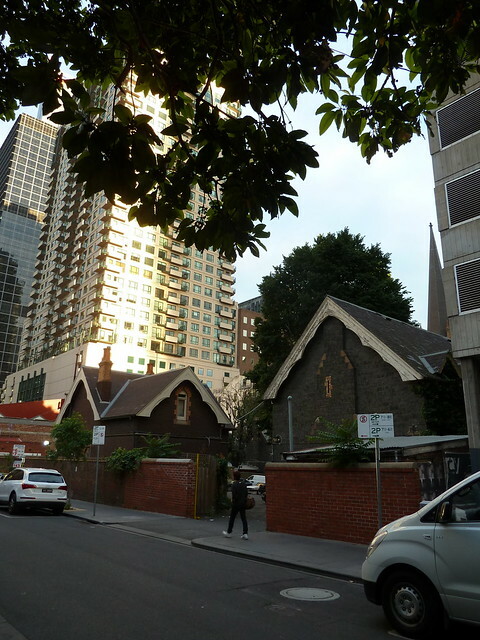 This visit I found Little Lonsdale particularly lovely to wander up, from QV and the State Library to this peaceful block with spreading trees...leading up to Laksa Bar. This place has been getting a bit of buzz and for enticing reason. 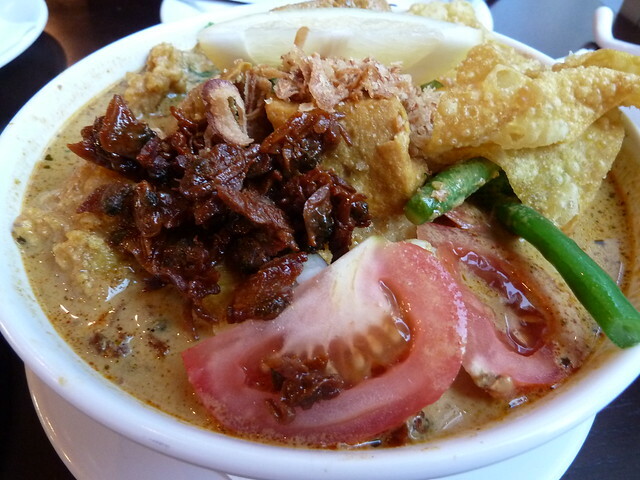 They purport to offer eight regional variations of laksa. 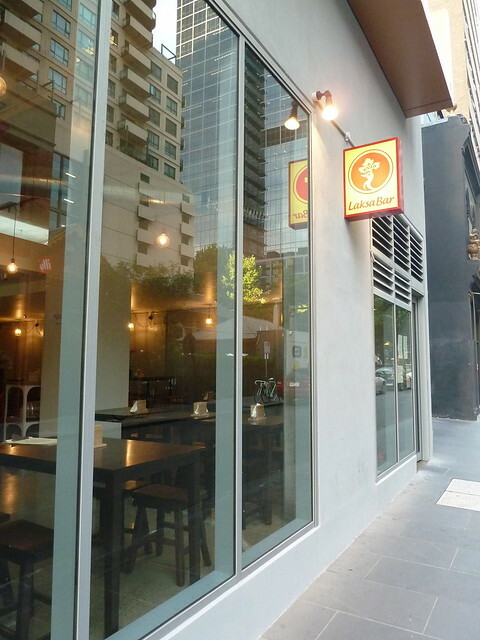 In a laksa-mad city, this seems a particularly smart business move. 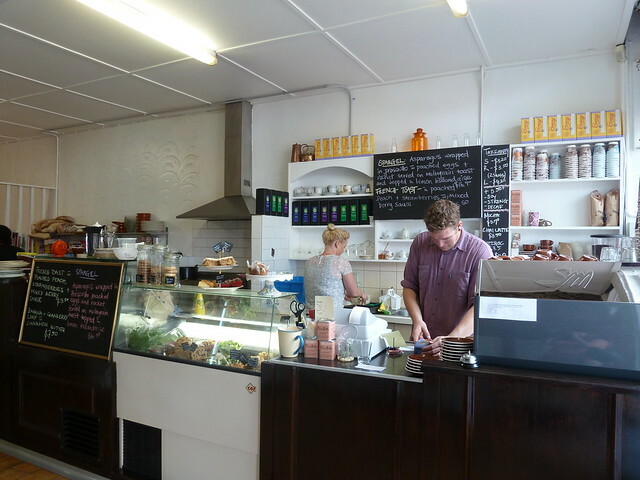 The fitout is smart, if a bit concrete bunker-like, with exposed bulbs and silver-shiny industrial trimmings. 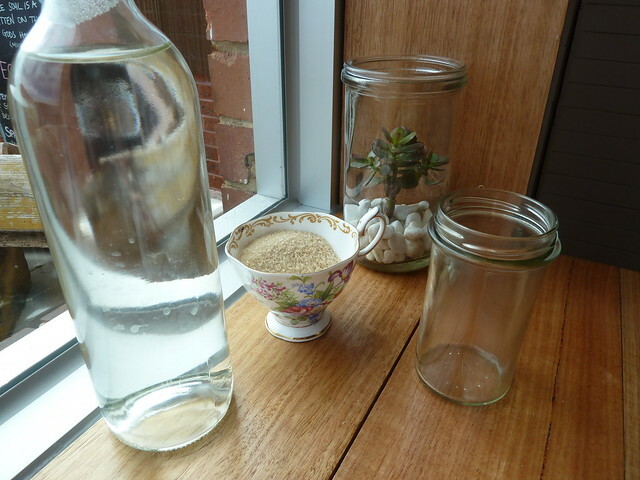 Order at the counter where candlenuts and cinnamon quills are displayed in apothecary-like glass bottles, hinting at aromatic alchemy in the kitchen. 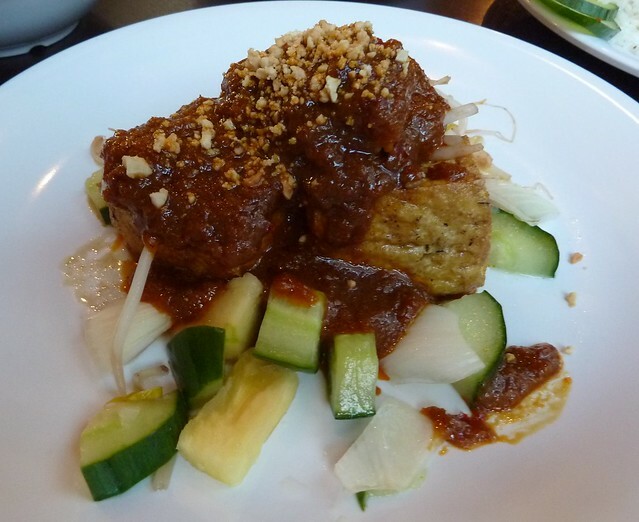 Lovely, juicy cubes of lightly-fried tofu with refreshing onion, cucumber and pineapple, nestling under a cosy cloak of "generation recipe" satay sauce. This was quite yummy, very sweet and tangy with tamarind, although not all that peanutty. 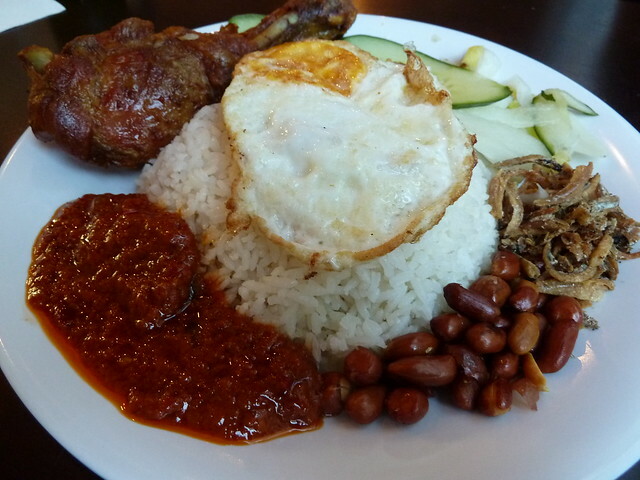 Nasi lemak ("rich rice") is coconut rice with trimmings, including crispy anchovies and peanuts, perhaps some fried chicken or fish, and plenty of sambal - house-blend chilli sauce. All the components of this were promising. The coconut rice was luscious (not at all like gluggy suburban Thai joints - this was light, the grains were separate and it melted in the mouth). The ikan bilis and peanuts gave fantastic crunch and the garguantuan chicken drumstick was tasty. I liked the sweet sambal, despite it not being very hot at all, although apparently it wasn't very "correct" by Malaysian/Singaporean standards. This famous dish from Assam features mackeral, tamarind and tomato for a tangy, fishy, spicy, dark soup. This was a disappointment, overly sweet with no mackeral flavour and really tasting just like tom yum. The (presumably defrosted) ginger flowers had an unpleasant flaccid texture. Jo and Bryan, Singapore food connoisseurs, agree that one of the best Assam sauces in Melbourne can be found on White Lotus' mock fish, of all places!!! The moment of truth! We stared. We spun the bowl. Cue giggles. Fried wonton skins, a chopped fried egg, a wedge of lemon, battered fish? The toppings are certainly untraditional, save for the generous helping of cockles, tiny blood-coloured crustaceans that are an essential element in authentic Singaporean-style laksa and char kway teow. The broth was very mild, extremely creamy with warming spices like cinnamon and cumin but no chilli heat or seafood flavour (we did ask for the menu's promised "higher level of spiciness" but none ensued). The bowl was so chockers with noodles (half yellow Hokkien, half rice vermicelli) and toppings that there wasn't much broth to sample at all. I don't really know what to make of this laksa. It is like craving chocolate mud cake - dark, dense chocolate cake, where the fork cuts through it just like a spade through rich, dark loam. The "give" of the chocolate ganache icing on top - swipe it through a little cream for rich, luscious perfection. To order chocolate mud cake and then be presented with a chocolate sponge with cream in the middle, perhaps covered in chocolate shavings. "Oh," you say. "This is nice, but I really wanted thick, rich mud cake." "Well," replies the waiter, not unkindly, "that's how we do our mud cake". You see my quandary - it was well made but not laksa as I know it! On leaving, I could see a chef in the open kitchen gently shaking candlenuts into a commercial food processor. I do believe they make the spice bases, the sambal and the sauces from scratch. 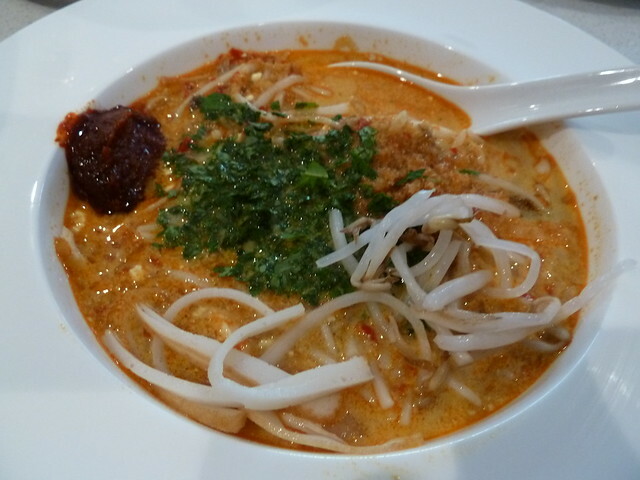 While the satay tofu and nasi lemak were good, in the case of laksa, I'm just not sure it really does what it says on the tin. 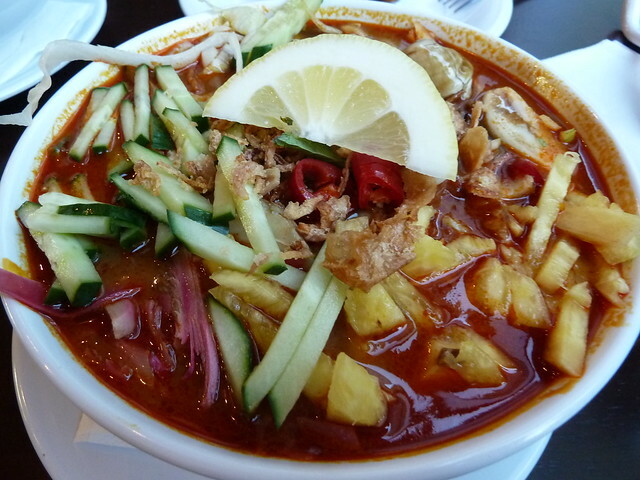 TOM YUM LAKSA??!! That's like having Christmas Easter eggs! Oh wait - don't tell me they've done that already? ALCIDE IS IN NORTH MELBOURNE!!!!!!!! 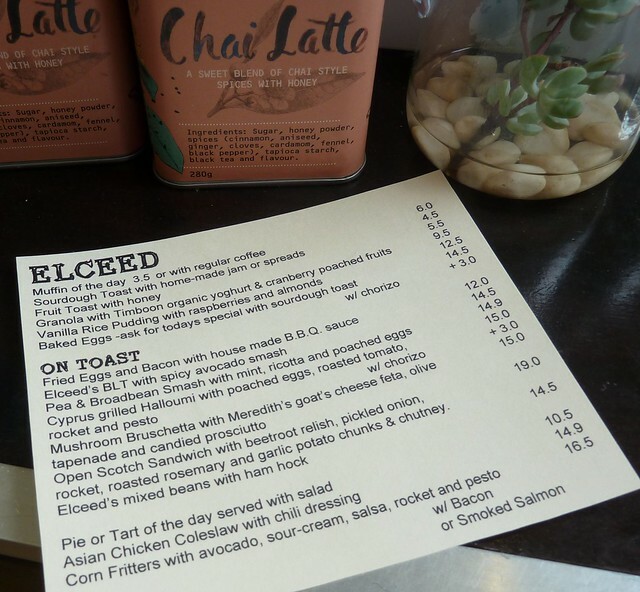 Continuing the Queensberry Street awesome cafe trend, Elceed more than exceeds at fabulous coffee and gorgeous brunch-y things whipped up in the open kitchen. 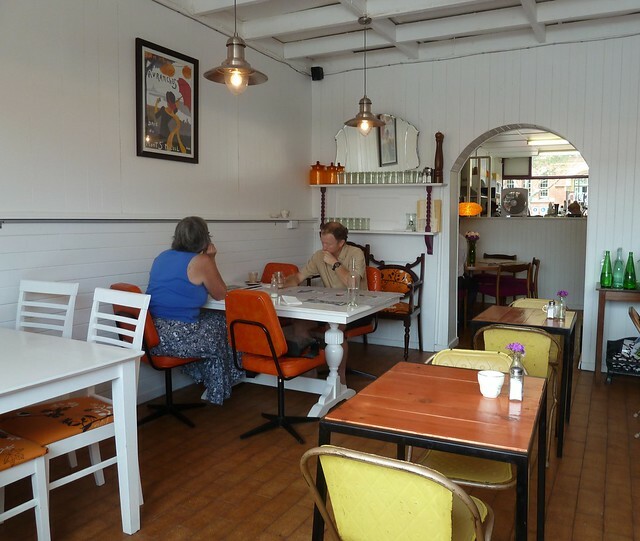 The back room uses lots of white to lift the room away from the old tiles - they could be daggy but against all that gloss, they start to seem almost retro. Orange pops to create a vibrant yet still welcoming vibe. There's lots of little touches that belie a thoughtful hand, like the vintage teacup sugar bowls and tiny flowers on the tables. Service is efficient and friendly. Truly fantastic coffee, an absolute steal for $3.20. Gorgeous, silky milk, sourced with a fair price for farmers from Jonesy's Dairy. 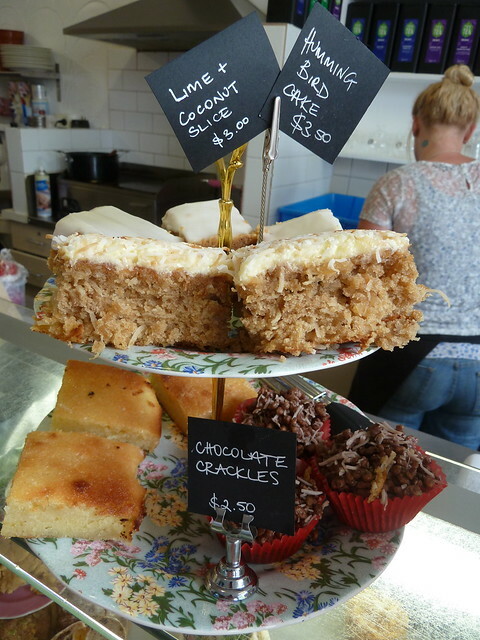 Sweeties are also a go go, as well as daily fresh juices if you feel like something cleansing. 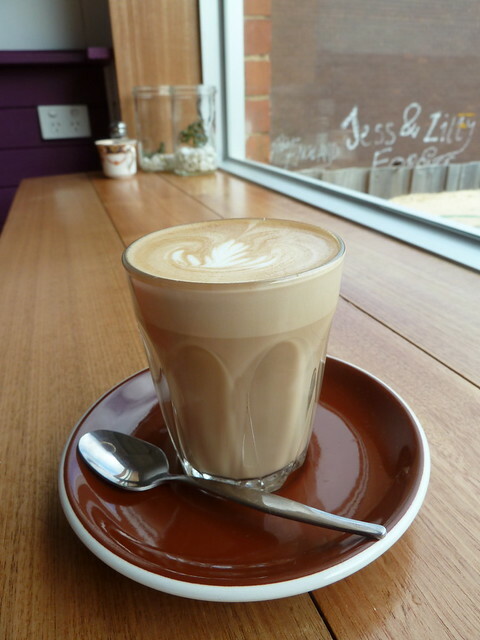 There's much to love about North Melbourne's newest cafe. OK, so there's no buff Bayou-bounding werewolves, but I reckon the "candied prosciutto" on the menu could equally prove a pearl clutcher. 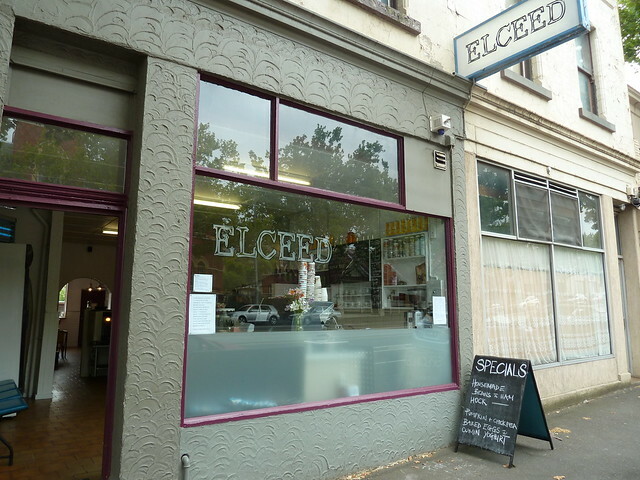 You can read more about Elceed from Ellise @ Charles Whyte - thanks for the tip Ellise! You may have seen on Twitter the hashtag #firstworldproblems. You know, like, "so annoying that I have to clean up before my cleaner comes". There's another level which is #firstworldbloggerproblems. "Oh, I am so behind in my posts - just can't keep up with all the meals I have out!" "Darn, I forgot my camera. *Roll eyes* Have to use my iPhone then!" "Gah, why do my kids always order the same dish? So annoying!" Another is, "Sigh, I can't go back to that great restaurant because I "need" to try somewhere different." Well, when the restaurant has a makeover - voila, instant solution to #firstworldbloggerproblem! 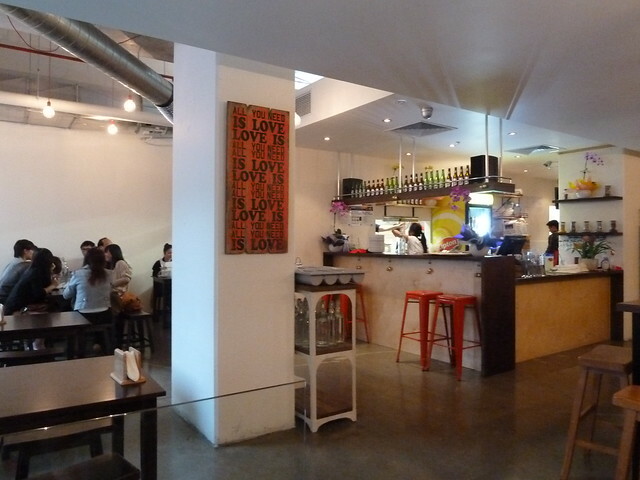 Nhi Huong (2 Sisters) are the new residents at the site of Pho Phi Truong. 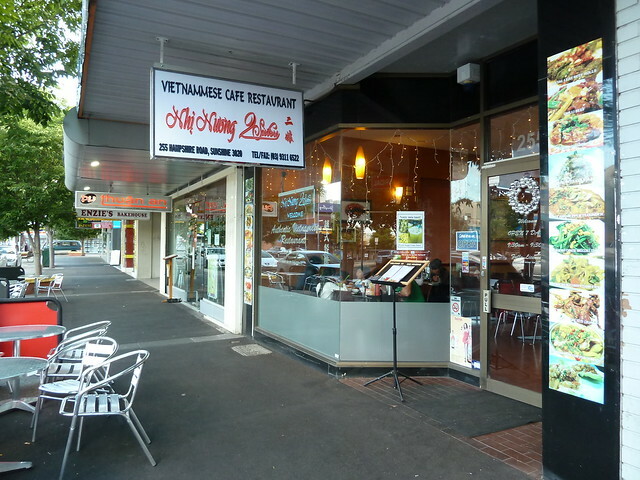 I'm unsure if it's just a name change - they still use the old Pho Phi Truong menus, but have a new takeaway menu. Bryan, Billy and I love eating family-style, which of course means I have to bring my often irritating children. It's not family style without kids rocking the table, spilling their water and stabbing each other with toothpicks! I know I complain about them but big screen TVs magically transform my children from sped-up ferrets to slack-jawed lumps. 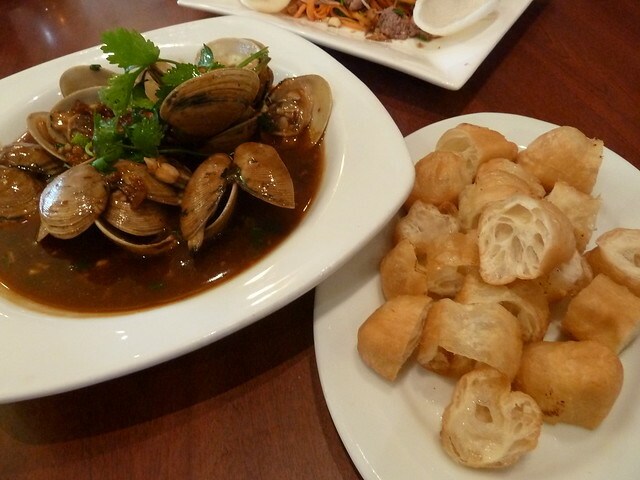 A special of the house, pipis with XO sauce. 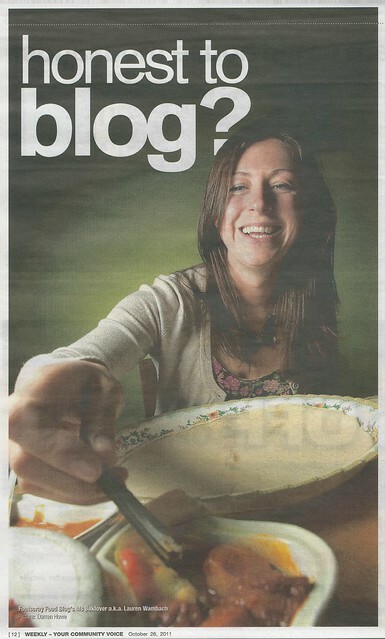 They were fresh and quite delicious but there was a confoundingly enormous amount of cornflour-bound dark sauce. They're better just licked with sauce so the dried seafood and ham of the XO sauce can really shine. Still, I loved soaking up all the sauce with the accompanying Chinese donuts. 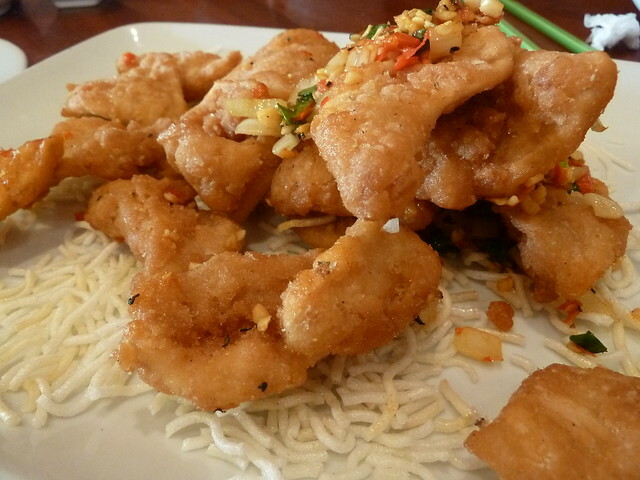 Yummy salt-and-pepper squid, presented on fried noodles. The batter was thicker than usual which was tasty but pretty naughty. Loads of lovely zingy salt. The beef here is wafer-thin, as for pho, marinated in lemon so that it is just barely cooked, cured in the acid as in ceviche. This was pretty good - points for the inclusion of rice paddy herb - but the dressing was very much on the sweet side. I love piling coleslaw on the prawn crackers to make Vietnamese tostadas. The main event - goat hot pot! Atop a portable stove bubbled a pot of chunks of goat, taro, tofu and beancurd skin. Plenty of green vegetables came alongside including chrysanthemum leaves and mustard greens. We were advised to order egg noodles and they came in a lightly oiled tasty tangle. Also accompanying were tiny dishes of intense garlic and preserved tofu dipping sauce. 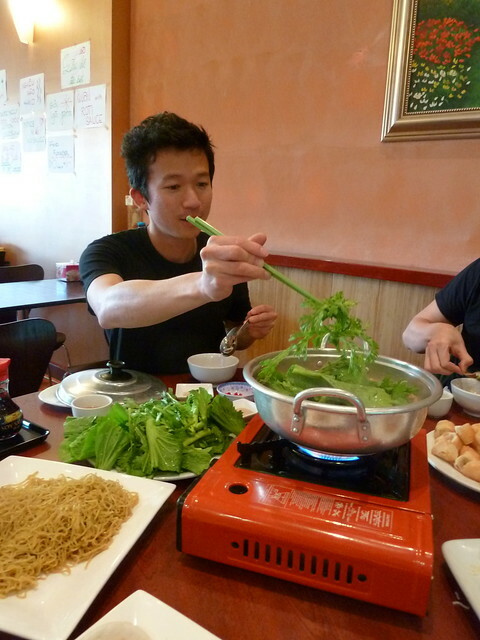 Here's Bryan doing uncle hot pot duties. The broth was thick with taro yet mild and tasty. We build little bowl after little bowl with noodles, cooked vegies, goat/taro/tofu and a tiny bit of the OTT garlic sauce. I don't get my money's worth with goat, though - the point is partly the interplay of texture between meat, fat and skin, but I only eat the (deliciously tender) actual meat. 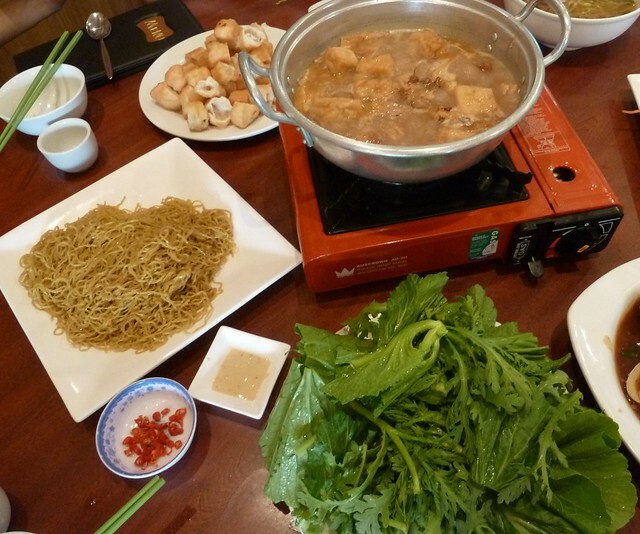 I love steamboat/hot pot, it's such a fun, dynamic and communal way to eat. My fellow food bloggers are also such lovely people to eat out with; as well as being tolerant of my kids, they're always pushing the envelope. What should we order - we want everything!!! Now that's a #firstworldbloggerproblem I don't mind having. We went on lots of long, meandering road trips as kids. We ate lots of bowls of chips with vinegar and lots of toasted cheese sandwiches, the cheese becoming progressively more plastic the closer you got to central Australia. 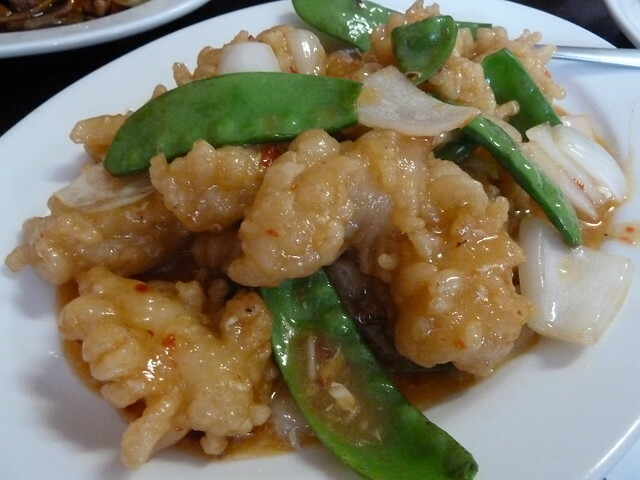 Occasionally we'd eat at the local Chinese, always with a "mysterious Oriental" name like Crystal Pagoda or Emperor's Garden. I remember these restaurants having lots of wood panelling or dark bricks as well as apricot napkins folded into peacock shapes, and the food always being great - lots of cornflour, sure, but fresh veggies and lots of them. The closer you got to the interior, the more likely the table was set with knife and fork, and once when we ordered tea it came in a teacup with saucer. Dragon Express has opened to brighten up a fairly shabby Sunshine sidestreet and upon entering, it's a bit like going back in time. Alongside wood-panelled walls, tables are set with placemats with wispy imperial motifs. Forks and spoons are carefully set and in the middle of each table are salt and pepper shakers alongside the soy sauce. The pride in this new business is evident, from the pressed uniforms, lucky red napkins folded with military precision, the very personable service and the fact that everything is spotless. 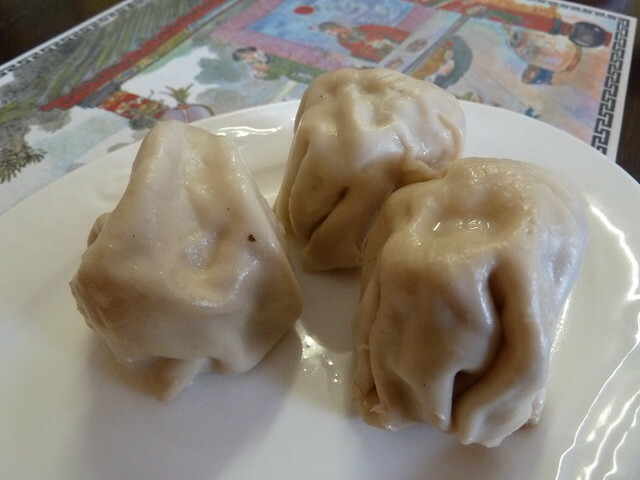 Homemade chicken dim sims were quite good with a fresh, peppery filling, reminiscent of South Melbourne Market's epic dimmies. 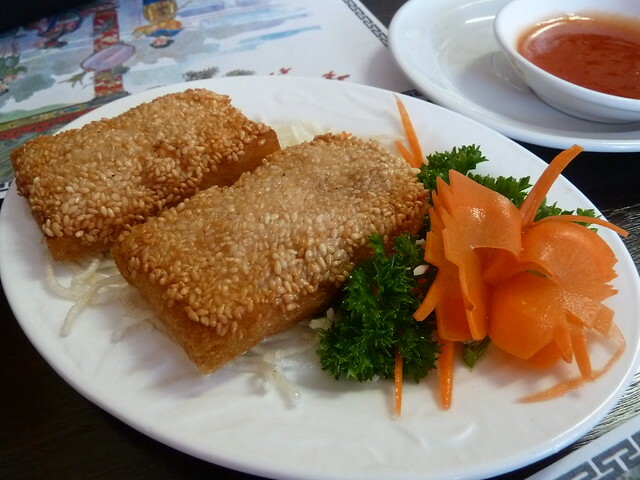 Sesame prawn toast, minced prawns smushed onto white bread that's drenched in sesame seeds and deep fried. If it couldn't already get so (deliciously) retro, check out the carved carrot! Love it. 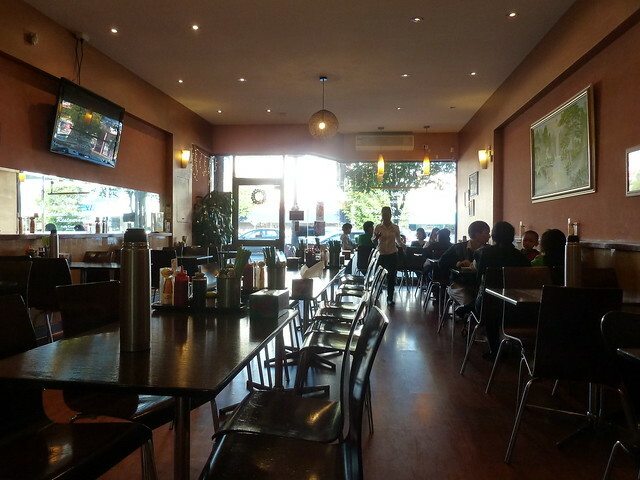 Dragon Express has a mega menu of your choice of meat, vegies and sauce but I am always drawn to the chef's specials, many of which here have a Malaysian flavour. "Malaysian sotong" was fantastic - big juicy pieces of pineapple-cut squid, deep fried in light batter, augmented by crispy snow peas. 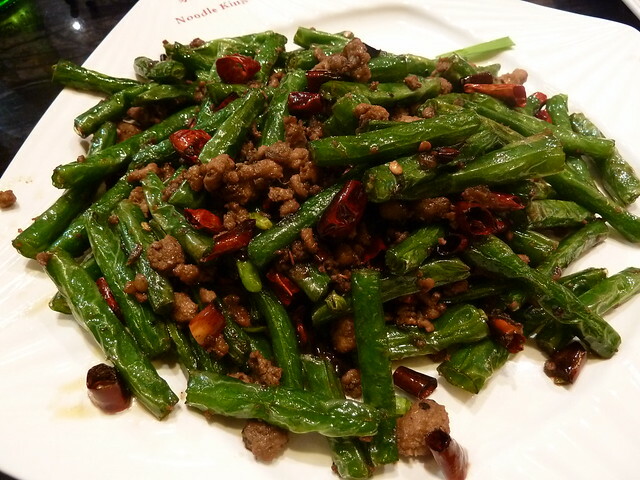 The sauce was light in flavour yet pleasantly thickened in texture with creamy egg and chilli zing. I have no idea if it was authentic, but it sure was tasty. 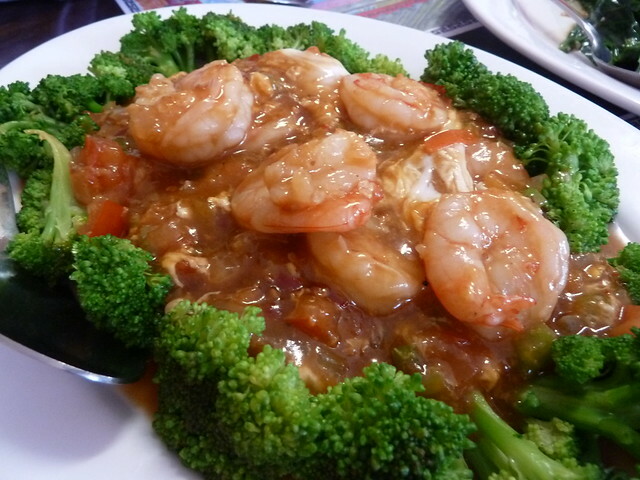 Singapore prawns were also the business - quality fresh prawns in lots of lovely eggy sweet tomato gravy. 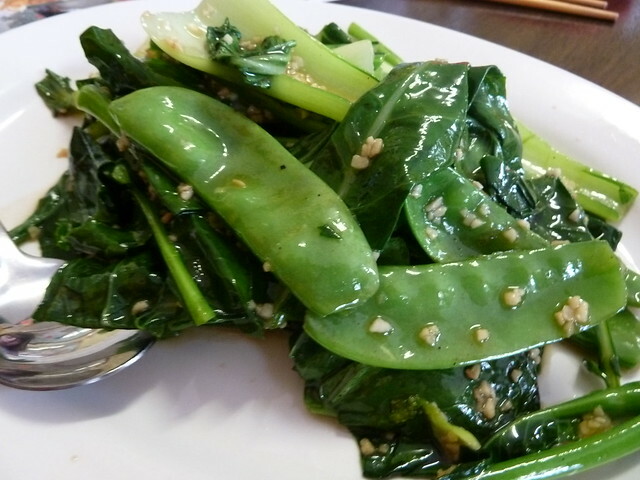 It's not so hard to eat your greens when they are tasty like this. Plenty of crunch and loads of garlic which surprisingly wasn't all that pungent. They need to dial up the dragon's breath on the Dragon Express Special Noodles - they lacked wok hei, the authentic "charred" texture and flavour good wok-cooked noodles should have, tasting almost simmered in the thick sweet soy sauce. Some may sneer at all these retro touches - the carved carrot, the pointy napkins, the salt and pepper - but they remind me of my childhood, and they are all done with care and a sense of pride. 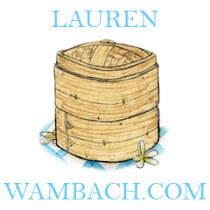 The food is super fresh, tasty and the service is very personal. 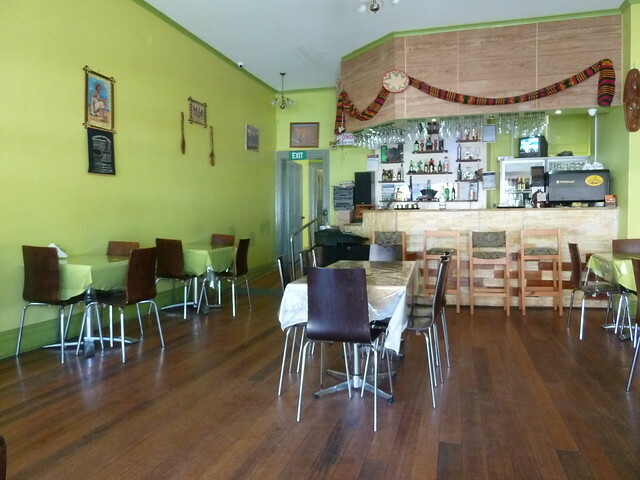 You can stop by for lunch where half a main (beef, chicken or pork) and rice costs a staggering $6.50. May the coming year of the Dragon bring many happy returns to Dragon Express. Thank you very much to Kenny of Consider the Sauce for the great tip! COMMENT UPDATE - Blogger have rather fortuitously just yesterday instituted a reply system, so I can now reply directly to your comments. Yay! 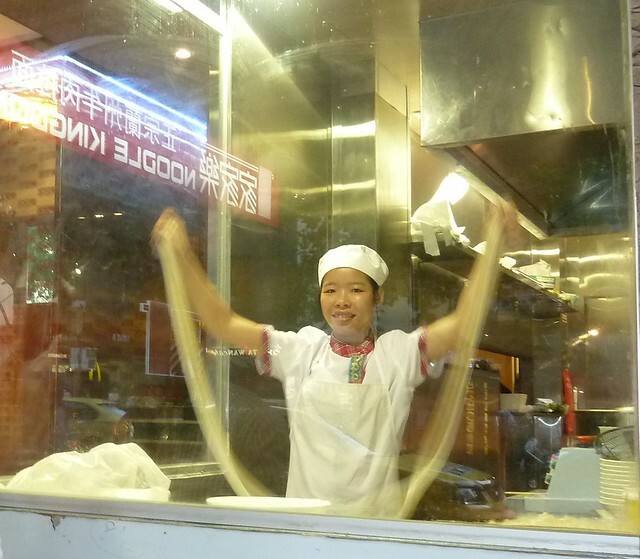 Street theatre - statue people, pan pipers, pavement chalk artists and now, noodle makers! 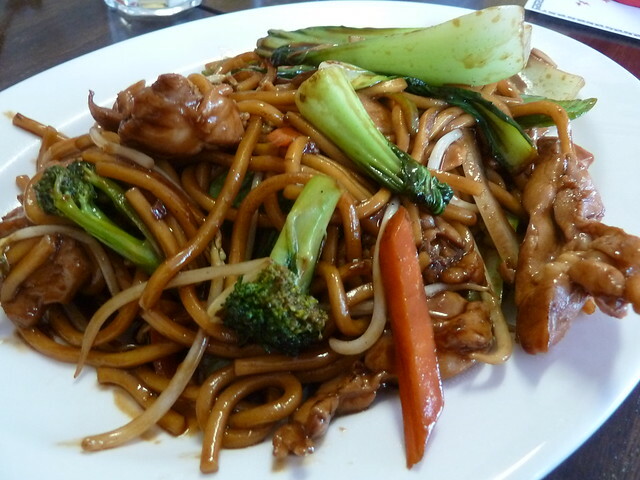 Noodle Kingdom, originally of Preston, is probably best known for its handmade noodles. In late 2010, their Russell Street store was slammed with an enormous fine for multiple food safety breaches. 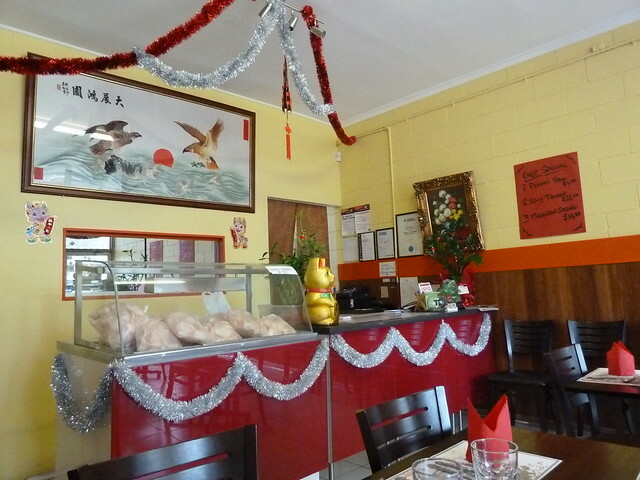 Undaunted (and hopefully with some better food handling practices and/or more monitoring), they have remodelled Swanston Street's Chinatown Dumpling Restaurant into a reportedly six-storey pagoda paying homage to floury delights. The dining room is far removed from other function-over-fancy establishments. A banquette lines one wall, making for comfy reclining. High above the room at the bank, a dumpling maker in pressed white hat watches benevolently over the room full of marble tables, lit by lantern-like lights. These look the business but golly, what thick skins. 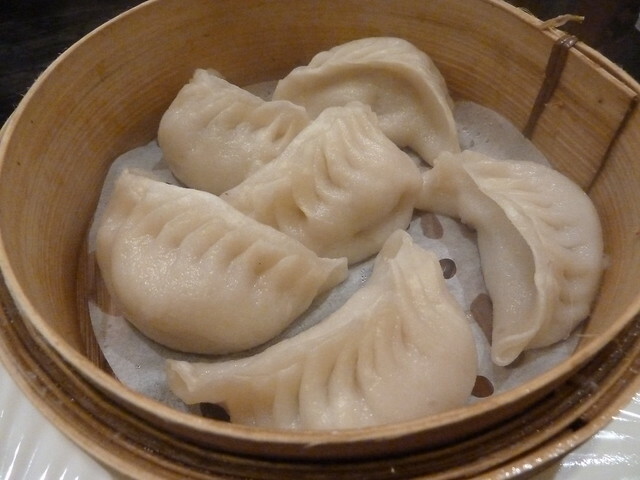 They were thick to the point that the dumplings almost seemed like buns - we're talking half a centimetre thick here. The filling was tasty but not all that juicy. These were all right, not the best I've had. The mince was quite coarse and there was little flavour other than soy sauce. Vegetarians, always beware this dish as the menu description rarely mentions the pork mince it is flavoured with and it's often filed under "Vegetables". My sister had gone here with a group of about 10 and everyone unanimously agreed her choice, above, was the best. Say no more! This was indeed pretty unreal. The noodles were fantastic, wide and flat like fettuccine, with unparalleled al dente bite and seductive slipperiness. I think the chicken chunks were deep fried. 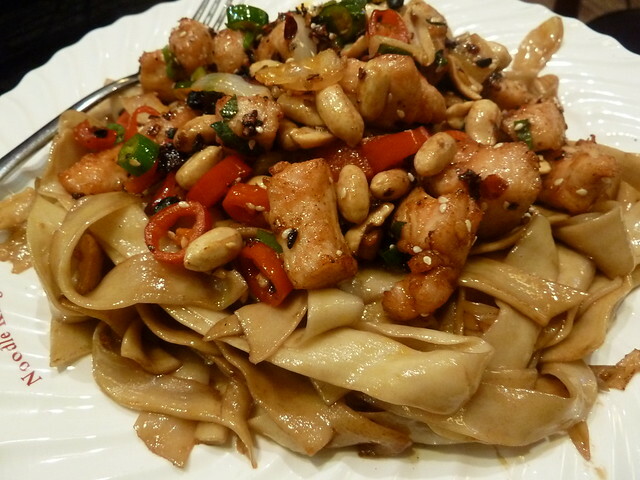 Peanuts gave lots of fabulous crunch and we loved the mild heat of the fat red chillies. Moistened with a little soy, it was a great dish. So far, the noodles are the drawcard here for me. 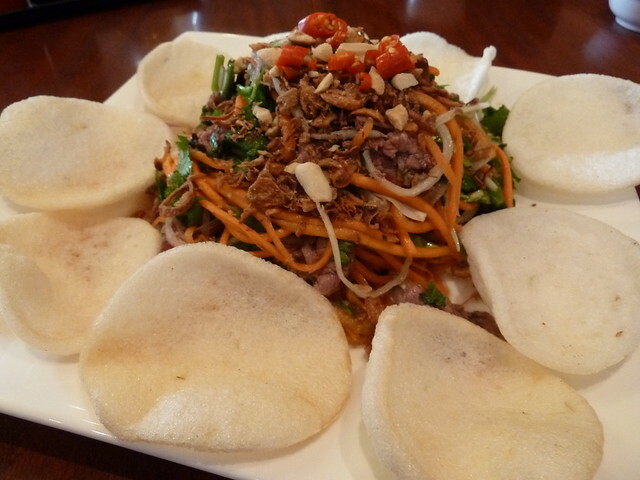 There are many different shapes and styles to try, including in their beef noodle soup which is apparently a specialty. The decor is quite lovely (although the toilets were filthy) and big points for Mountain Goat and Little Creatures beers on offer. 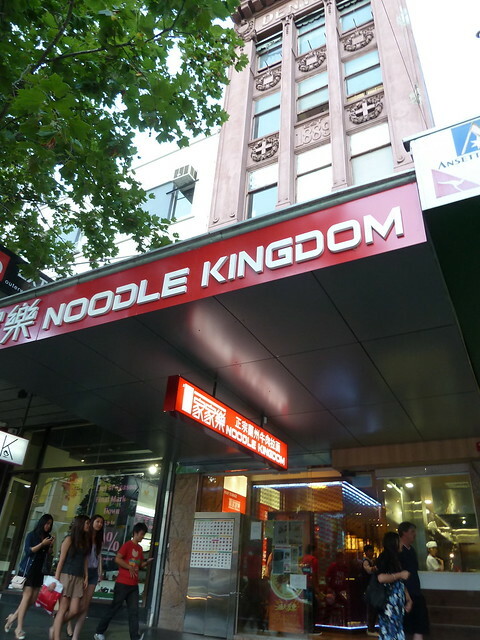 With Noodle Kingdom opposite the fantastic Dumplings Plus and the buzzing Taiwan Cafe, Asian food on Swanston Street is starting to get exciting! UPDATE: Had to uninstall less than sooper-dooper comment system - it flicks back to Blogger comments occasionally it seems and if someone comments through that, it deletes all the new comments in the new system. *sigh* Hopefully I can find another program that's more consistent.